Dampers are force-absorbing units which are used for product safety and/or comfort on several applications. The main difference between Dampers and gas springs is that gas springs apply a controlled force and Dampers control an external force. In other words, Dampers are force-absorbing while gas springs are force-supplying. Two types of dampers are available, depending on the application in which they are going to be used. 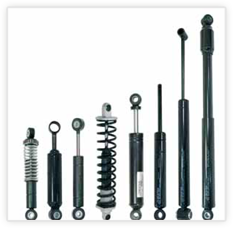 HK Dampers are similar in appearance and construction to gas springs. 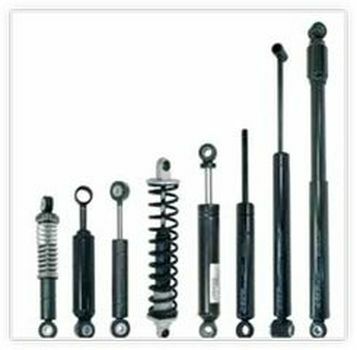 In other words, a HK Damper is simply a gas spring that is filled with oil instead of gas. HK Dampers are equipped with a special piston. The hydraulic oil inside the HK damper must pass through this special piston, causing resistance thus controlling speed. The rate of the resistance and speed can be adapted to your individual application using combinations of piston orifice and oil viscosity. HK type dampers are not suitable for absorbing vibration nor are they suitable for controlling the sudden stopping of weights. The usage of HK dampers is to prevent impact dangers and shock damage to sensitive parts or simply to limit an object to a controlled speed or to avoid exceeding a certain speed. HK dampers are used to increase an applications life by reducing the potential for damage. Any mechanism that moves and needs to be controlled to a specific speed is a potential application for HK Dampers. HA Dampers are our range of hydraulic vibration dampers and are also called “Monotube Shock Absorber” due to their same construction. A vibration damper, or shock absorber in common parlance, is a mechanical device designed to smooth out or damp a sudden shock impulse. All hydraulic shock absorbers work by the principle of converting kinetic energy (movement) into thermic energy (heat). HA Dampers with linear, progressive or regressive set characteristic to optimally match the particular application. 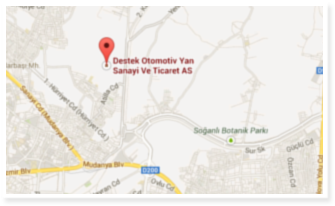 Various applications in the vehicle industry for steering damping, engine vibration damping, belt tensioning damping on engines, glove compartments, etc. As the name implies, in a twin-tube shock absorber there are two actual tubes – one the outer tube known as the reserve tube and the an inner tube known as the working or pressure tube in which the piston moves. Tiny holes or orifices in the piston as well as special valves between the inner and outer tubes restrict the flow of oil, thus providing damping and suspension. Twin tube shock absorbers work by the principle of converting kinetic energy (movement) into thermic energy (heat).